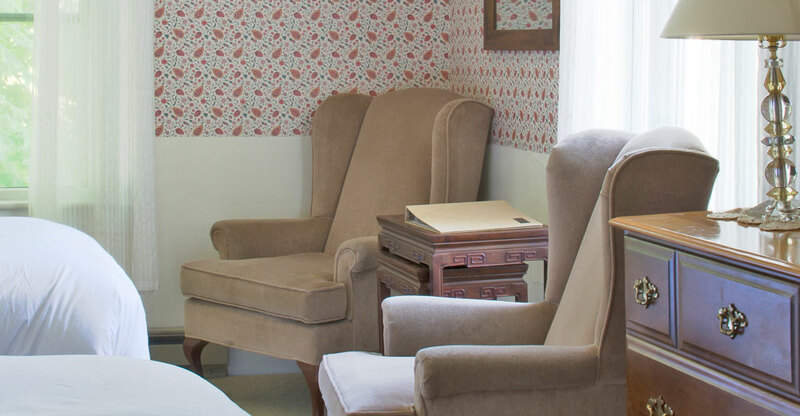 Rooms and rates at the Castine Inn, a Maine Inn offering quality lodging in historic Castine Maine on the Maine Coast near Acadia National Park and Mount Desert Island. 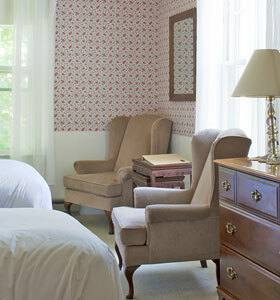 This corner room with its twin beds and twin comfortable wing chairs is perfectly suited for a relaxing stay. The beds are made up with Italian linens and cozy duvets. The private bathroom features a charming claw-foot tub and shower. click here to return to the main rooms page.